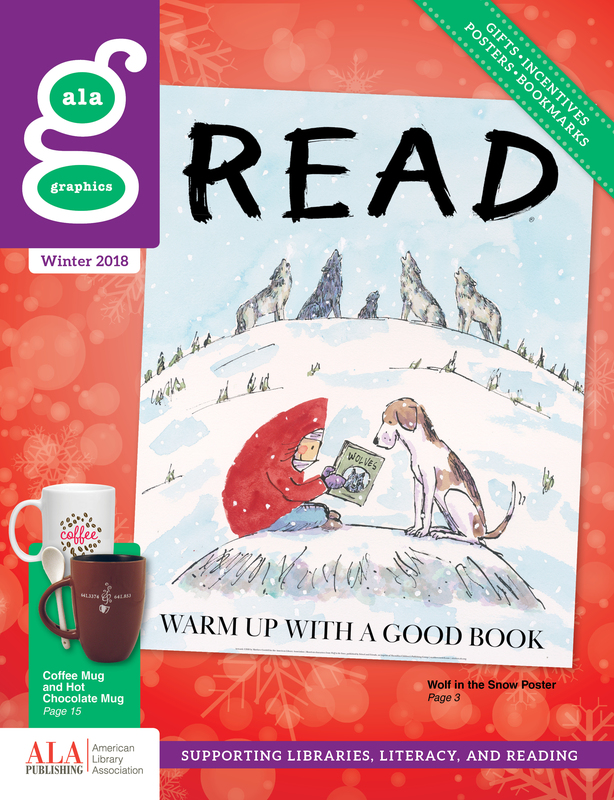 CHICAGO – ALA Graphics’ winter catalog is on its way, and will unveil new products that will educate, excite, and inspire. The catalog cover highlights a new Wolf in the Snow Poster from Caldecott Medal-winning artist Matthew Cordell. A matching bookmark is also available. These heartwarming items are perfect for Picture Book Month celebrations this November and throughout the winter. It’s never too early to start preparing for National Library Week! The 2019 theme, Libraries = Strong Communities features prominently on a colorful new poster, mini poster, and bookmark. A digital poster file is available for those who want to create custom promotions. National Library Week will take place April 7 – 13, 2019. Shop all of the new products at the ALA Store, where your purchases fund advocacy, awareness and accreditation programs for library professionals worldwide. ALA Graphics supports the mission of the American Library Association through the creation and distribution of quality products promoting libraries, literacy, and reading.